Looking to get a lower interest rate on your current mortgage? A transfer/switch may be an option. Transfer/Switches are when you opt to transfer your mortgage to a new lender in order to take advantage of a lower rate. A transfer/switch does not include additional money to the existing mortgage balance owing, your mortgage amount will remain the same, however lenders will allow you to increase the mortgage up to $3,000 to cover legal costs, possible appraisal fees and if applicable, penalty fees – more on that below. *Note: If you do require new money or funds (more than $3,000.00) this would then be considered a refinance. 1. When your mortgage term is up, and the mortgage is renewing with your existing lender. If you choose to transfer/switch your mortgage at renewal you will not have to pay a penalty. You will still need to qualify and there may be legal and appraisal costs associated with the transfer/switch, just as you would with a new mortgage. 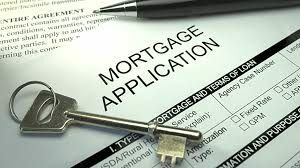 However, many lenders offer you the option to include the legal and appraisal fees into you new mortgage and some lenders may cover these costs for you. 2. The second scenario you may choose to do a transfer/switch is when you are in the middle of the term of your mortgage. The only reason you would do this is to take advantage of a lower rate which means a lower monthly payment. This would have to make sense financially for you to do as you will have a penalty associated with breaking the current mortgage. Reputable brokers have your best interest in mind first! Your mortgage professional will shop the market to find the best overall cost of borrowing for the client. Broker’s will look at all angles of the product to ensure that the client is getting one that will suit their unique and specific needs. Not once will the client be expected to shop their mortgage around or to speak to the lender. Just like when you went through the process the first time, you will have to supply documents to the new lender in order to transfer/switch. • In simple terms: no stress testing required. Before you consider moving, you should run through the numbers with a broker and ensure you qualify. If you are switching/transferring mid-term a penalty will apply to your mortgage. To find out what that penalty will look like, we encourage you to speak to your Dominion Lending Centres mortgage broker and have a clear understanding of what you will be paying out. If you are up for renewal and are looking to transfer, you will not have to pay a penalty and may or may not have the aforementioned fees associated with setting up the new mortgage with a new lender. Remember, a broker is there to work with you to determine if a transfer/switch is right for you and to help you establish which lender will give you not only the best rate, but the most suitable mortgage product too!